Reaching the Semi finals in 2007/08 EUFA Champions League. Scoring the clubs 7000th goal. The goal was scored by Mohamed Sissoko’s against Sunderland. 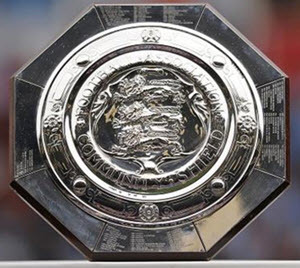 Liverpool won the FA Community shield in 2007. Becoming the first team to score a combined team score of 100 in all competitions. Scoring their 100th win at Anfield in an European competition. Scoring their biggest ever away win in Champions league, 4-0 against Marseille. Scoring the biggest win ever in champions league, 8-0 against Besiktas. Scoring 6 goals and winning 6-0 against Derby in the league. Finishing 3rd and 4th in Premier League. The year started with a couple of disappointments for Liverpool fans. The team was beaten twice by Arsenal in the first week of January. First in the FA Cup and then in the League cup. Arsenal won both games with ease 3–1 and 6–3. All wasn’t dark though since Liverpool won their January league games against Bolton Wanderers, Chelsea and Wartford. February was a good month for Liverpool fans that got to see Liverpool knock Barcelona out of the Champions League. 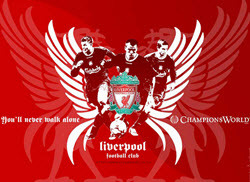 April started well with Liverpool defeating PSV Eindhoven 4–0 to move on to the semi finals in UEFA champions league. The joy didn’t last very long when they lost the first leg of the Semi-final 0-1 to Chelsea. 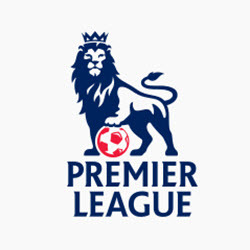 Liverpools Premier league games in April was a mixed bag of blessings with predominately wins but also a draw and a loss. In the second leg of the UEFA champions league semi-final Liverpool beat Chelsea 1-0. This triggered penalties which Liverpool won to move on to the Champion league finals. They lost the final against Milan (who lost to Liverpool in the final 2005).. Liverpool ended UEFA champion league as runner ups. Liverpool started the new season with a premier league game against Aston Villa. Liverpool won this game and would then go on to win a champion league qualifier against Toulouse. Liver pool than faced Chelsea in Premier League in a game that they almost won but that ended in a tie after a disputed penalty kick. The referee later admitted that he made an erroneous call and apologized to Liverpool. 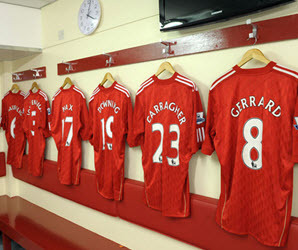 The third game of the 2007/2008 season was highlighted by Mohamed Sissoko scoring Liverpools 7000th goal. A historic milestone. This was the only goal Mohamed Sissoko was the first goal Mohamed Sissoko made for Liverpool after a 75 game dry spell.. Liverpool went on to win the game against Sunderland 2-0. September started with another treat for Liverpool fans. The 6-0 win against derby. This win was not only the biggest in many years (since 2003) but also a game that brought the team to the top of the Premier league table. This game was followed by a 2 week long international break. After the break Liverpool played two scoreless ties in the league. The team also traveled to compete against F:C Porto in the champions League in a rough game that ended 1-1. After their ties Liverpool went on the face Reading in the League cup. Liverpool won this game by 4-2 and Fernando Torres scored his first ever Hatrick for Liverpool. This game ended the dry spell for Liverpool that went on to win a league game against Wigan. October started with a low point for the team. They faced Marseille in an home game at Anfield that was a part of the Champion leagues group stage. Marseille went on to win that game and Liverpool played what many said was their worst game in a very long time. The second leg against Marseille was played in December. Many fans and punters were chocked by the result and thought that if Liverpool was going to play like that they could just as well give up sports betting and start gambling in online casinos such as MrGreen, Play Hippo and LeoVegas. This game was followed up by another disappointment for the fans when Liverpool tied 2-2 against Tottenham at Anfield. Liverpool was very close to loosing this game and was only saved by a last minute goal. The tie did however allow Liverpool to remain unbeaten in the league that season. The next game in the league was a derby against Everton. Liverpool won this controversial game 2-1 after having been given two questionable penalty kicks from the referee. October was rounded of with a tie in the league against Arsenal and a win over Cardiff City in the League Cup. November began with another tie after another scoreless game, this times against Blackburn. The second game of the month was however to give the fans a reason to celebrate. 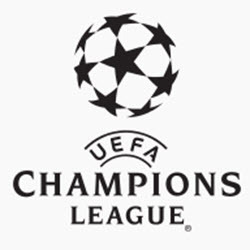 The second game was the second leg of the Champion league group game against Besiktas played at Anfield. Liverpool destroyed Besiktas by 8-0 and improved their chances to move on. Yossi Benayoun scored a hatrick in this game. This game was the biggest win ever in Champions league. The old record was winning by 7 goals and was held jointly by Arsenal and Juventus. After this triumph Liverpool went on to defeat Fullham 2-0 in the league before another international break. After the break Liverpool won 3-0 against Newcastle in the league. The Month ended by Liverpool playing F.C. Porto in a Champions League group game at Anfield. 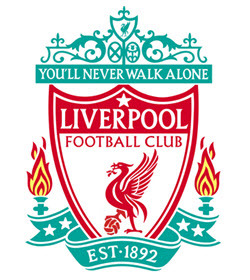 Liverpool won the game 4–1. This game saw Fernando Torres score his first ever , and second ever champions league goal. 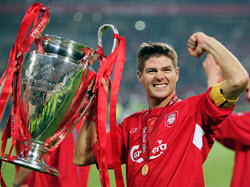 The game more importantly also saw Steven Gerrard equaling Michael Owens club record of 22 Champions league goals. Liverpool started December undefeated in the league and on 4 game winning streak. They continued this streak in their first game by defeating the Boston Wanderers 4-0. The next league game would however end their winning streak and give the team their first defeat of the season when they lost 3-1 to Reading. After that streak breaking loss it was time to face Marseille again in the champions league group games. This time the game was played in Marseille. After Marseilles win at Anfield they only need to tie to move on to the next stage of Champions League. Marseille had never lost against an English team in Marseille. 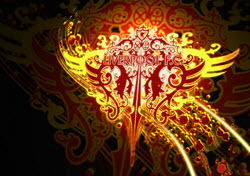 Liverpool was however destined to break that streak and defeated Marseille 4-0. This was the biggest away win in the history of the Champions league. Liverpool went on the the 16th. Later in December Liverpool was set to face arch rivals Manchester United. Both top teams in the Premier league. This game was very important in the battle for the top of the league board. This was also a very popular game among punters. Betting sites such as Betpal and sport media gave it a lot of coverage. Manchester United would go on to win the game 1-0. The same day the gunners, Arsenal, defeated Chelsea which gave them a 10 point lead over Liverpool in the league. Liverpool then lost a quarter final of the League cup, 2-0 to Chelsea. In the last game of the year Liverpool defeated Portsmouth in the premier league. This was an psychologically important victory going into 2008 after two straight looses.